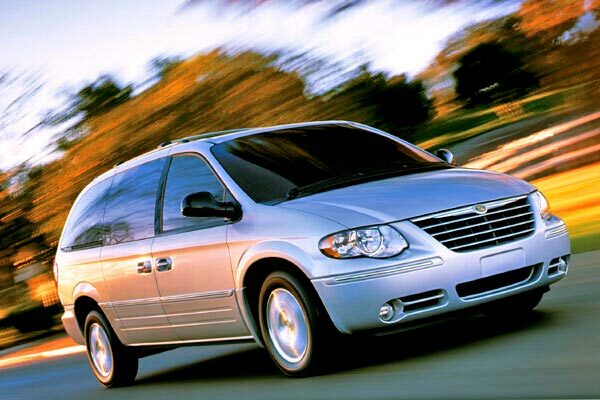 CHRYSLER TOWN & COUNTRY The family van from GM is the cheapest vehicle to insure in 2011. Having insurance for your car is something required by law in many countries and states of the world, and America is no the exception. The minivans dominate the list of vehicles whose annual insurance policy is the cheapest in the U.S.. The price of a car insurance is based as well on various factors such as the place you live, age and driving record. Claim only for major damages. Reduce your annual mileage traveled. Move to Vermont which is the state with the cheapest insurance rates according to Insurance.com. What could make the cost of your insurance not cheap? If car repairs are expensive. If people traveling in the car suffer more injuries in an accident than the occupants of other vehicles. If the car is among the favorites of thieves and heads theft complaints. If the car is a popular choice among young and inexperienced drivers that often have too many complaints. With a base price of $24,560, the most basic version of this Japanese minivan, can be ensured with only $1,101 per year. The LE version of the Toyota Sienna is similar to the Honda Odyssey, and also has all the safety systems, so its insurance policy is $1,108. The LX version is the most austere minivan of the Honda, but with its security systems can be ensured for $1,115 per year. This Nissan's crossover was the only Japanese car from other manufacturer besides Toyota and Honda that has gained entry to this list. The average cost of its annual insurance is $1,128. The second model Made in USA which came into the list of the cheapest vehicles to insure. The average price of an insurance policy is $1,131. The Honda Odyssey minivan has gained a reputation as one of the safest vehicles on the market. His annual insurance is $1,138. The third generation of the Toyota minivan with six-cylinder engine, can be ensured by $1,143 per year. This compact SUV is the first American car to appear on this list. The average price of its insurance policy is $1,150. With an average price of $1,154 for an annual premium insurance, this Toyota SUV is ranked 10 in the list of the cheapest cars to insure.